I was bereft at finding that my beloved More Mile Oslo’s were no longer available in the size I need. Absolutely gutted. They have done me well. 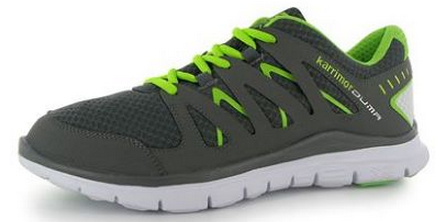 They are very comfortable, and have a funky grooved sole – a la Nike. Even better is that they were only £12-16 depending on whether I could find a voucher code. I always get concerned when I am down to one pair of shoes. These wear out relatively quickly (250 ish miles) and then I recycle and wear them casually but don’t run in them (because the soles wear quickly). Given the price, it isn’t too much of a hassle. I searched around on the internet for some other possibilities. I kept ending up at options for around £20 (which is the aim). 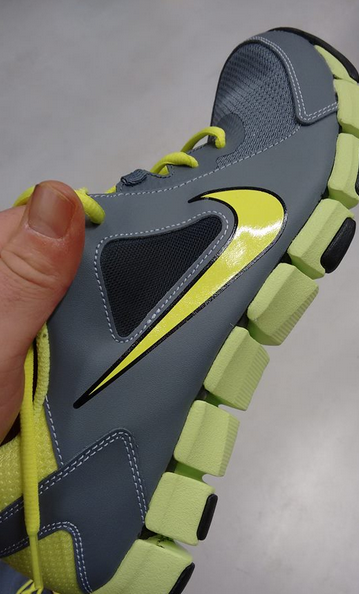 And then one of the guys on the UltraRunningCommunity facebook page suggested some Nike Flex TR2. I was out and about and dropped into my local Nike outlet shop. I spotted them immediately. They were £50…. down to £35…. down to £25. I tried them on. Fitted perfectly. Feel very similar to the More Mike Oslo – albeit they are around 50g a shoe heavier. I picked up two pairs. Not bad price I thought….. and then the went through the checkout at £17.50 each. So I went back and got 4 more pairs so that I have 6 pairs in total. I reckon that’s a year supply for my runcommuting. The sole is blocked. Very much similar to my More Mile Oslo. It gives a nice feel when running. I think they look pretty cool. Not that it matters one jot to me. It’s more important that they are comfortable. Work for me. And are cheap. I will try them out tomorrow on my runcommute. I’ll give an update on how they feel, and then follow up with a full review in a few weeks time. Have you bought new shoes recently? How did you get on with them?